Yale is making automated material handling equipment more accessible with the launch of its range of robotic trucks. 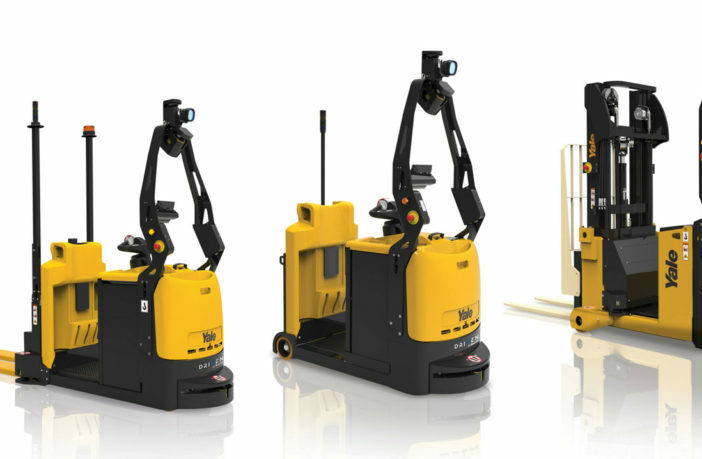 The European arm of the company has developed an automated low-level order picker (the MO25), an automated tow tractor (the MO50-70T) and an automated counterbalance truck (the MC10-15). 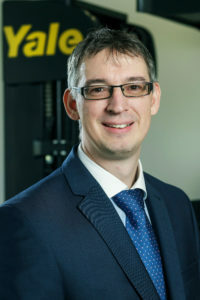 Aware that automation technology is typically bespoke and expensive, the company was keen to provide machines that improved productivity in the warehouse without being too costly. Balyo geo-guidance navigation technology ensures the robotic trucks can operate autonomously without the need for any wires, magnets or reflectors. “After consulting with our clients, we recognized that a major hurdle to introducing robotics in warehouses and production lines is the installation of dedicated infrastructure,” explained Ron Farr, warehouse solutions manager for Yale. “By collaborating with Balyo we’ve been able to produce a range of trucks that use existing structural features to generate their own map, enabling them to self-locate and navigate in real time. Based on the existing MO25, MO50-70T and MC10-15 manual trucks, Yale robotic trucks are suitable for a wide range of applications. The trucks can automate a variety of repetitive load transportation tasks from servicing production lines, transporting loads between stations, and conducting milk-run production loops to carrying empty pallets to a palletizing machine. Built-in advanced obstacle detection helps the trucks anticipate and react to their immediate environment, controlling truck speed and allowingor smooth, efficient movement, while the provision of both manual and automated modes ensures efficient operation alongside employees and manually operated trucks.